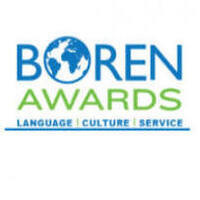 This scholarship is awarded to undergraduate and graduate students to study less commonly taught languages in world regions critical to U.S. interests, and underrepresented in study abroad, including Africa, Asia, Central and Eastern Europe, Eurasia, Latin America, and the Middle East. Scholars are awarded up to $20,000 for a full academic year. This workshop will allow students the chance to work on their applications with the Boren Campus Representative. Please bring your laptop.